Flexible Couplings and Flange Adaptors are designed and manufactured to make installation, adjustment, repair and maintenance easier and faster. 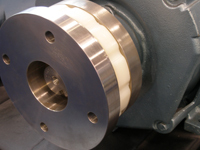 Our flexible couplings and flange adaptors are a fast and foolproof way to couple motors and machines without callbacks. Built strong to perform like new through any working environment, these couplings and adaptors will maintain job productivity and performance. 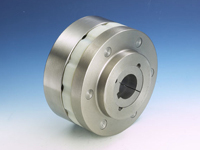 Our flexible couplings address the four types of motor misalignment including axial, angular, parallel and angular/parallel. 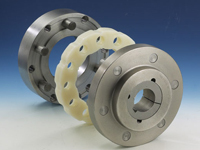 The flexible coupling is made of polypropylene, making it oil resistant, strong and flexible. 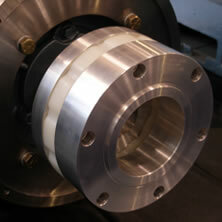 Our couplings remove end thrusting and overloading of motor bearings. Increase productivity and save field labor time with our flexible couplings and flange adaptors. With our equipment, installation time is reduced to approximately four hours from two to three days.